Your iPhone Has a Password, Shouldn’t Your Pistol? Your iPhone Has a Password, Shouldn’t Your Pistol? Your iPhone Has a Password, Shouldn’t Your Pistol? 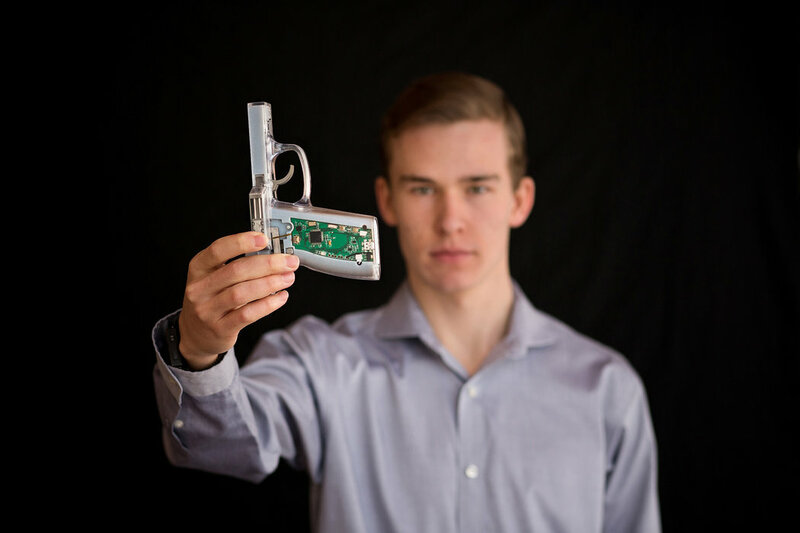 MIT freshman Kai Kloepfer is developing smart-gun technology that could save thousands of lives, so why are critics blocking it? No one can deny the critical role technology plays in the everyday lives of people, as it is practically everywhere: at your job, on your campus and certainly in your house. Most devices these days are guarded by passwords which, when entered incorrectly, ask personal questions concerning the individual who owns the device. The security feature makes hacking all the more difficult, though, even if there is a security breach, there are dozens resources users can turn to in order to restore that safety. Safety, therefore, has become the primary characteristic the technological era has afforded users. The advancement of security, and the ease-of-mind that it has provided smart phone users, is a prime example of safety technology, an umbrella term used for devices that protect their users. Yet, as recently as 2002, safety technology has taken on a completely different definition. The term began its association with the right to bear arms around 2003, though it also included non-lethal self-defense devices such as tasers and hidden surveillance cameras. The phrase “smart technology” later became associated almost exclusively with smart guns, a type of firearm that has been programmed to shoot only when handled by the authorized owner. Although there are plenty of other types of smart guns that date back to the 1970s, both the means of production and the producer himself have helped make Kai Kloepfer’s weapon revolutionary. Though Kloepfer is now a nineteen-year-old freshman at MIT, he originally began working on the safety gun for a science fair while he was a freshman in high school. Kloepfer’s still-evolving smart gun prototype functions much like regular guns do, with one huge difference—there will be a fingerprint-recognition scanner on the handle. As a result, only the owner would be able to shoot and pull the trigger, meaning that even if the gun falls into the wrong hands, it would be impossible to use. “This means that unauthorized people—such as children finding a firearm in their house, or teenagers looking to commit suicide—are unable to access firearms that are owned by other people such as their parents,” Kloepfer told CBS News in an interview. The prototype even charges like a smart phone, with a cable and an outlet, making the gun’s care fairly easy. Kloepfer believes that the responses he’s received in regards to the smart gun have been favorable. Indeed, Nicholas Kristof, a writer for “The New York Times” contributed a positive review of the idea in 2015. When asked about his dedication to the creation of the smart gun prototype, Kloepfer cites the shooting that took place in a movie theater at Aurora, Colorado, in July 2012. Kloepfer was only fifteen-years-old at the time, and the fact that he lived only forty-five minutes away left him thinking that he could have easily been a target. He claims that it’s this feeling of insecurity that prompts people into action. Coni Sanders, a forensic therapist, agrees full-heartedly that losing, or nearly losing, someone to firearms violence motivates people to involve themselves with gun safety. She claims that those who do not support the smart gun going into the market simply have not felt that fear or loss. Sanders knows the feeling well herself, as her father was gunned down while teaching at Columbine High School. “My father was a teacher for twenty-five years. He was a coach. He was a dad and he was a husband. It was unbelievable, that kind of pain. People can’t understand. If they did understand, they’d be doing things differently,” Sanders said to UPROXX. However, there are those who question whether the good intentions of such a young and inexperienced student will actually help. Jared Campbell, a former marine and operations manager at the Family Shooting Center in Colorado, doesn’t see Kloepfer’s smart gun as the most useful tool. This could be the reason why Kloepfer has taken more than four years to attach a fingerprint recognition scanner on a gun. “Why did it take four-and-a-half years to put a fingerprint reader on the side of a gun?” CBS News correspont Tony Dokoupil asked Kloepfer. There can be nothing truer than that. 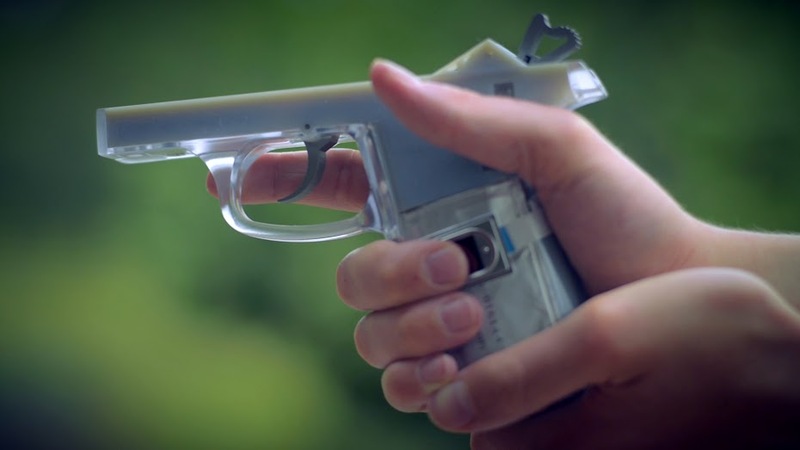 Since the 1970s, no one has created the gun Kloepfer has developed, though many have tried; while prototypes have been made, all have failed in test runs. 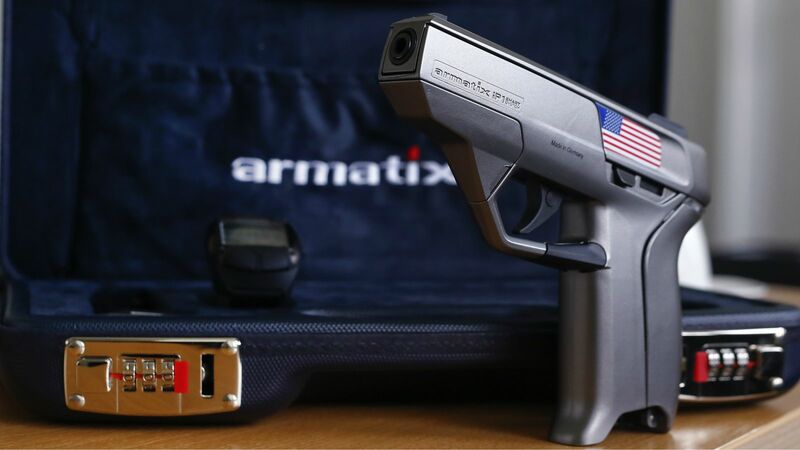 The one smart gun that did work, the Armatix iP1, which requires being in close proximity to the electronic chip installed in the accompanying wristwatch, was forced to disappear from the market. Out of a fear of having their Second Amendment rights violated, pro-gun activists went as far as to threaten a gun dealer in Maryland who had the nation’s first Armatix iP1 guns on shelves. The event has left gun-control advocates unsure about taking the smart gun into legislature, and has instilled doubts about how the country will react to the incorporation of smart guns into the market. In particular, the National Rifle Association (NRA) is cautious about what implications the supposedly-safe gun could present. Of all the states in America, only New Jersey has unequivocally shown support for bringing the safe gun to market. Their Childproof Handgun Act stipulates that after smart guns have entered the market and remained on shelves for a minimum of three years, they will then become mandatory. The campaign was deemed a battle for the NRA, one that has been resolved through compromise. The New Jersey senate majority leader, Loretta Weinberg, promises to repeal the law if the NRA halts all future interferences in the selling of smart guns. “If, in fact, they [the NRA] would get out of the way of preventing the research, development, manufacture, distribution and sale [of smart guns], I would move to repeal this law in the state of New Jersey,” Weinberg said in an interview with MSNBC’s Chris Hayes. Can the weapon’s increased safety convince gun owners to adopt a weapon that is inconsistent, requires a small delay to recognize the fingerprint before shooting and disregards combat variables? What if doing so eliminated the 700-800 deaths that occur annually from accidental shootings? What’s more important?